Gorgeous - and a little bit spooky too! What a stunning image. 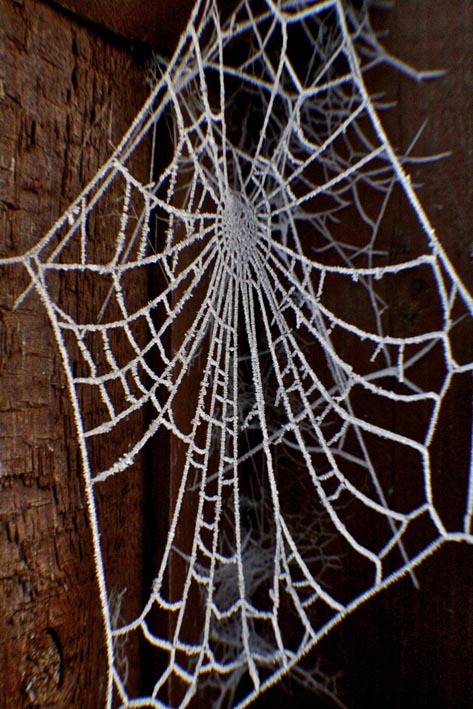 I don't like spiders or webs BUT when covered in frost even webs look beautiful! That's a great shot. A little spooky though.